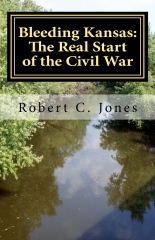 The author has written a number of unique books on Civil War topics. Check back from time to time for new books. There were many technological developments during the Civil War, including rifled artillery, repeating rifles, trench warfare, armored ships, submarines and air reconnaissance (balloons). But perhaps none of these had as much impact as an existing technology – railroads – that were used in a widespread manner for the first time in the Civil War. Railroads shipped supplies, troops, wounded soldiers, horses and mules. 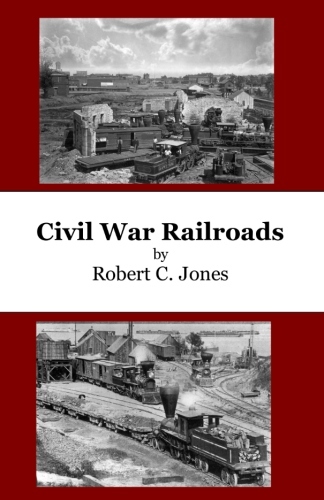 Whole battles were fought over the possession of railroads (Shiloh, Monocacy, High Bridge, Allatoona Pass). The purpose of Cavalry changed radically between the beginning of the war from reconnaissance to raiding. And theraids were often targeted at railroad infrastructure. South Carolina, the first state to secede, had no single huge battle, a la Antietam, Chickamauga or Gettysburg. However, it experienced two of the greatest naval battles of the War in Charleston Harbor and Port Royal. South Carolina also experienced the wrath of Sherman's troops as they marched through the state in 1865. Columbia, engulfed in a great fire, experienced damage on par with Atlanta and Richmond. When we think of 1865, we think of the surrender of Lee and Johnston's armies, and the assassination of President Lincoln. 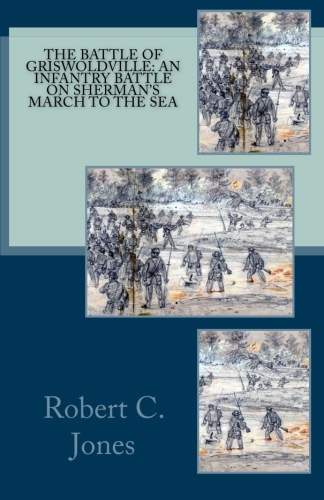 However, the first four months of 1865 featured some significant battles, including the largest amphibious operation of the War at Fort Fisher, the Fall of Petersburg, the battles leading up to Lee's surrender at Appomattox, Wilson's Raid into Alabama and Georgia, and Sherman's Carolinas Campaign. 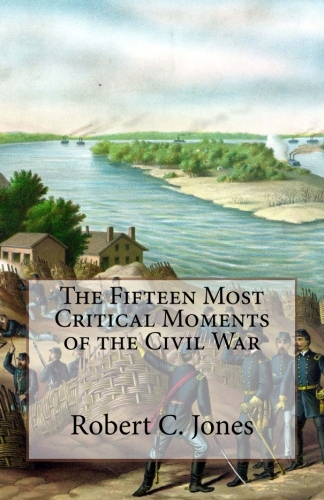 All of these battles and campaigns are worthy of noting, and they are duly noted in this book, as well as other prominent events of the period from January-May 1865. Our look at the end of the War culminates with the Grand Review of the Armies, which occurred on May 23/24, 1865 in Washington, D.C. The book contains 75+ illustrations. 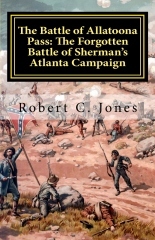 The importance of Georgia in the Civil War is underscored in 1864 by Sherman's Atlanta Campaign and March to the Sea. Those two victories for the North turned the momentum of the War in the North's favor, and the taking of Atlanta directly led to Lincoln's reelection in November 1864. Georgia's involvement in the end of the War in 1865 was more subtle, but still significant. 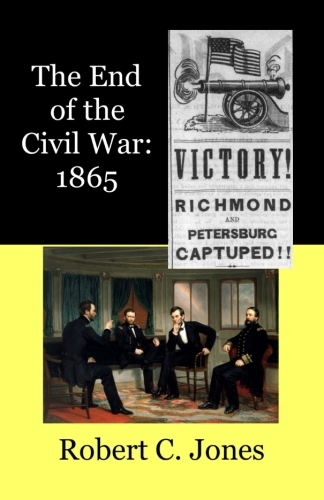 There were two battles - the last of the War – on April 16, 1865 (Columbus and West Point); there was the freeing of the worst of all of the Civil War prison camps at Andersonville; and there was the capture of Confederate President Jefferson Davis at Irwinville. 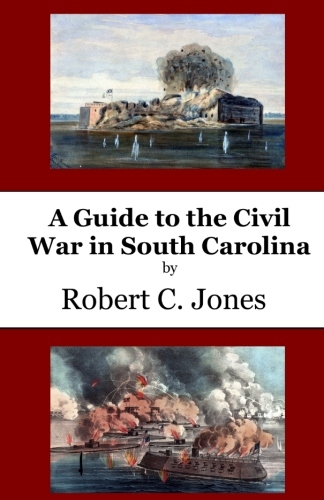 While the surrenders of Robert E. Lee and Joseph Johnston in April 1865 can appropriately be assigned the tag of “the end of the Civil War”, the last two battles of the War were fought in Georgia. And the “end of the Confederacy” can justifiably be associated with Davis' capture. The books includes 70+ illustrations. Georgia has a rich Civil War heritage, perhaps second only to Virginia. Several major battles were fought here – Chickamauga, Kennesaw Mountain, Battle of Atlanta, Peachtree Creek – and two major campaigns that pretty much destroyed the Confederacy – Sherman's Atlanta Campaign, and Sherman's March to the Sea. 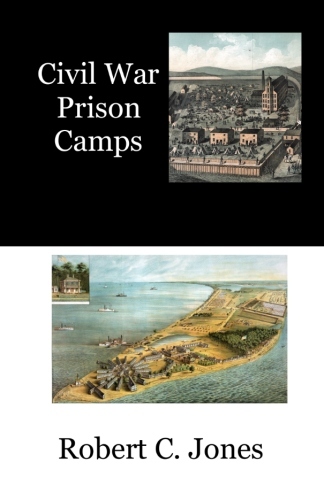 Two significant prisoner of war camps were located in Georgia – Andersonville, and Millen (Camp Lawton). 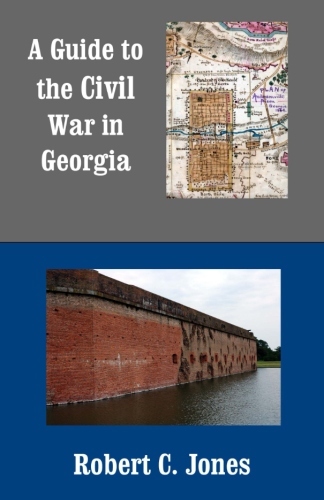 This book will examine the Civil War in Georgia, with special emphasis on what is left today. Battlefields, hospitals, headquarters, training camps, manufacturing sites, and National and Confederate Cemeteries dot the landscape throughout northwestern and central Georgia. Where possible, addresses are included for GPS units. Over 110 photos, maps and newspaper pages are included in this book. In November 1864, ﻿William Tecumseh Sherman began his March to the Sea. During﻿ the six week march, Sherman's army of 62,000 “lived off the land”, and cut a swathe of destruction through central Georgia. When Sherman marched into Savannah on December 21, 1864, he had administered a blow to the Confederacy from which it was never able to recover. 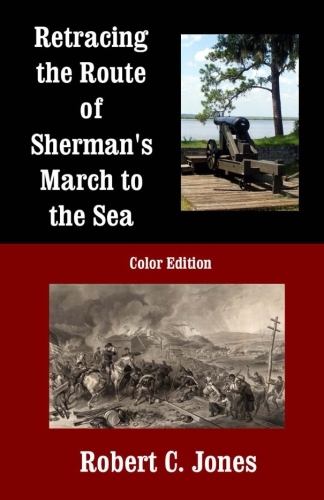 This book tells the story of Sherman's March to the Sea through the mechanism of looking at what remains today (monuments, buildings, trenches, etc.) at sites associated with those events. Where possible, addresses are included for GPS units. Over 60 photos, maps and newspaper ﻿pages are included. 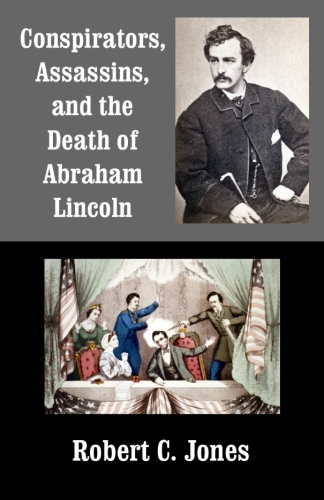 With the Sesquicentennial of the assassination of Abraham Lincoln almost upon us (2015), it is a good time to reflect on the events of 1865. Lincoln was the first president assassinated (although there had been an attempt on Andrew Jackson years before). Even after 150 years of research, there are still open questions about the death of Lincoln. What was the involvement of the Confederate Secret Service in Montreal, if any? Had Jefferson Davis or other Confederate leaders implicitly or explicitly approved of either the Lincoln kidnapping plot, or the assassination plot itself? Was Samuel Mudd an actual conspirator, or was he simply the unlucky doctor who set the leg of the most wanted man in America? Was Mary Surratt an active conspirator, or did her townhouse (and earlier, her tavern) simply serve as the clubhouse for the other conspirators? It is these and other questions that still make the assassination fascinating after 150 years. The books includes 65+ illustrations. 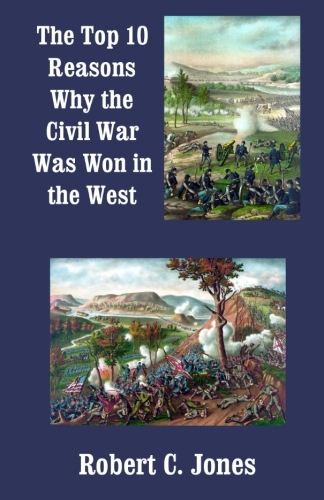 This book looks at moments and decisions in the Civil War which either radically changed the course of the War, or had the possibility of radically changing the course of the War. The topics include "Reinforcements at Shiloh", "Chancellorsville: Victory against overwhelming odds", "Emancipation Proclamation", "Breakthrough at Petersburg", "Failure to pursue Lee’s army at Antietam", "20th Maine at Little Roundtop", "Rock of Chickamauga", "Assassination of Lincoln", "Death of Jackson", "Glorieta Pass", "Lee takes command", "Sherman’s March to the Sea", "Grant takes command", "Fall of Vicksburg" and "Pickett’s Charge". The book contains 43 photos, with 28 of them in color. The Battle of Allatoona Pass has received scant attention in most histories of the Civil War. This is probably because it occurred after Sherman had taken Atlanta, but before Sherman’s March to the Sea. Thus, it often escapes being noted in histories of either campaign. The battle was significant, though. Some of the fiercest fighting of the whole War occurred there, with combined casualty figures over 30% (North: 706; South: 873). The battle broke the back of John Bell Hood’s plan to significantly disrupt Sherman’s supply line from Atlanta to the north, and allowed Sherman to plan his march to Savannah with his Western & Atlantic supply line intact. This book contains 31 photos and drawings, with 13 of them in color. The Civil War started in Kansas in 1856. It was initially fought in towns like Lecompton, Lawrence and Osawatomie. It was fought on battlefields like Black Jack. It was fought along creeks such as the Pottawatomie and the Marias des Cygnes. 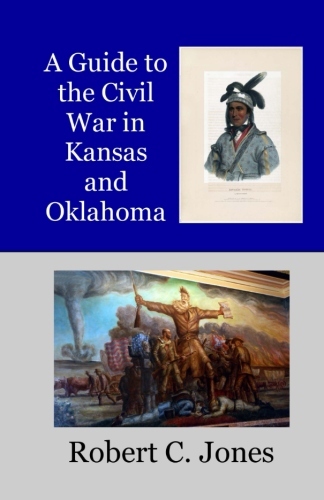 This book will discuss the background of Bleeding Kansas, and examine the various battles and massacres that were part of it. It will then view the aftermath of the conflict and its effect on the United States. It will use both contemporary photographs and maps (mostly from the Library of Congress), as well as modern photos of the sites described herein. There are 19 color photos and maps, and 17 black and white. 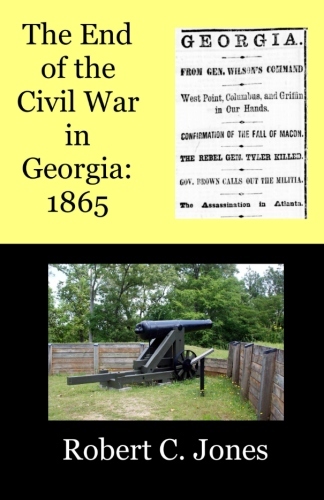 The author has been performing Civil War songs in the Atlanta/North Georgia area for almost 20 years. 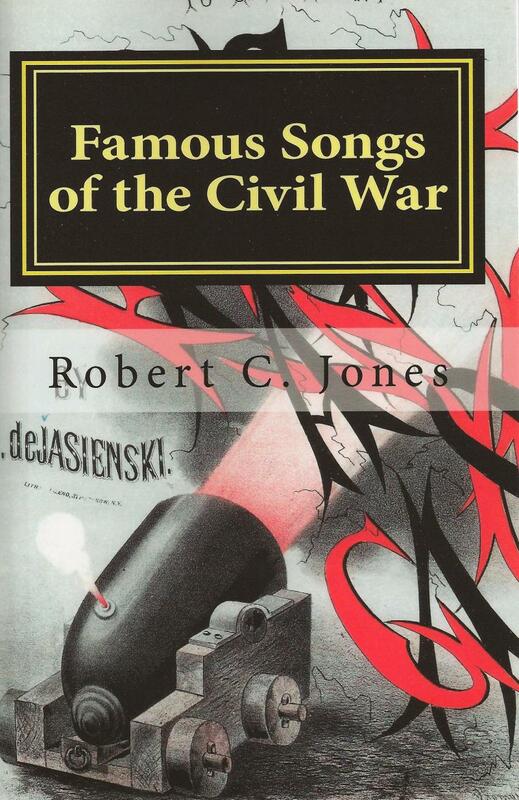 In that time, the fifteen songs in this book have emerged as the most popular. The background of each song is discussed, and the words/guitar chords are included. Songs include "Aura Lee", "Battle Hymn of the Republic", "Battle Cry of Freedom", "Bonnie Blue Flag", "Dixie", "Goober Peas", "Hold the Fort", "Home Sweet Home", "Johnny is Gone for a Soldier", "Marching Through Georgia", "Maryland, My Maryland", "Oh Susanna", "Tramp! Tramp! Tramp! ", When Johnny Comes Marching Home" and "Yellow Rose of Texas". There are 30 photos in this book, with 11 of them in color. The Civil War, more than any other war in the 19th century, directly impacted modern warfare in the 20th century and beyond. Sometimes the impact was from technological innovations – submarines, repeating rifles, rifled artillery and armored ships were all used either for the first time in the Civil War, or used first on a wide-scale in the Civil War. Sometimes, the impacts were from strategic innovations - “total war”, “mobile war”, “trench warfare” and “irregular warfare” all either debuted in the Civil War, or were used on a wide-scale for the first time. 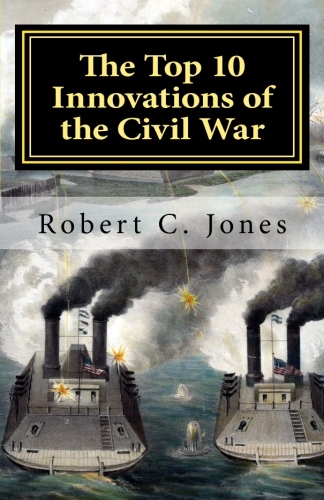 This book will look at the top ten (11 actually - #10 is a tie) innovations of the Civil War, especially in regard to their impact on 20th and 21st century warfare. The book includes 23 black and white illustrations and 12 color illustrations. 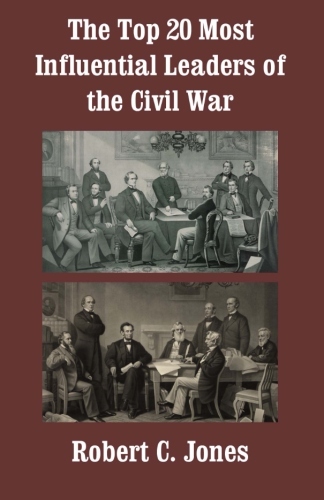 "The Top 20 Most Influential Leaders of the Civil War" looks at people who had a large influence on the Civil War in non-battlefield capacities, including politicians, cabinet members, political philosophers, War strategists and planners, and diplomats and ambassadors. Among those included: Abraham Lincoln, Jefferson Davis, Robert E. Lee, Edwin Stanton, Charles Sumner, John C. Calhoun, Lafayette Baker, Rose Greenhow and Howell Cobb. While we often think of spies and spy networks as a 20th century innovation, the Civil War was filled with both. Men and women on both sides rallied to their respective cause, and volunteered to pass information to either the North or South. The Civil War also saw many innovations in spying, including the use of invisible ink, the use of advanced cryptography, and numerous women risking their lives to act as spies. Also included in this book are prominent "irregulars", by which I'm including people who fought for one side or other with little or no interaction with the official military or political apparatus of their cause. The terms "guerrilla" and "marauder" are also sometimes used, although I've noticed that who one considers a guerrilla or marauder and who one considers a glorious freedom fighter tends to be determined by what side you are on. Irregular seemed like a neutral term to use. 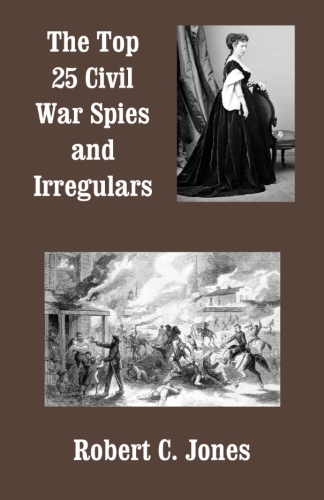 This book contains 25 men and women who served their cause as either spies or irregulars, and includes names such as William Quantrill, John Mosby, Rose Greenhow, "Bloody Bill" Anderson, Allan Pinkerton, Lafayette Baker, James Lane and Elizabeth Lew. It also contains 30 black and white photos and drawings. Most Civil War historians focus on the battles in Virginia, Pennsylvania (Gettysburg) and Maryland (Antietam). And there is a lot to write about in those conflicts. However, a strong case can be made that the Civil War was won in the “West” – not on the battlefields of Virginia, Maryland and Gettysburg. 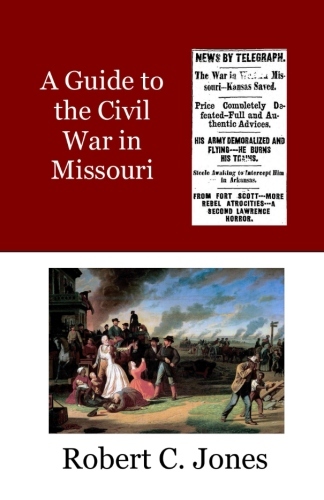 While Missouri remained in the Union during the course of the Civil War, it had one of the most divided populations in terms of its loyalties. As a result, over 1,200 battles, skirmishes and actions were fought there during the War (only Tennessee and Virginia had more). While pro-Confederate forces won most of the battles in 1861, the Union poured huge resources in men and materials into Missouri to keep it in the Union. As a result, the period from 1862 to the Fall of 1864 was populated primarily by guerrilla activity (including William Quantrill and “Bloody Bill” Anderson), and occasional cavalry raids by Southern generals (Marmaduke, Price, Shelby). 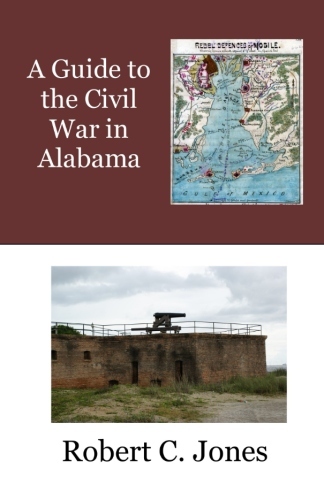 There was more Civil War action in Alabama than opne might think at first glance. Union raids into Northern Alabama, Abel Streight's abortive raid through Northern Alabama towards Rome, Georgia, the huge manufacturing infrastructure in Central Alabama, at Selma, Shelby, Tallassee and other locations, Wilson's Raid, the Battle of Mobile Bay, Canby's attacks at Spanish Fort and Fort Blakely - significant, and numerous actions. There are also a number of important Civil War figures that were native Alabamians, made Alabama their adoptive home, or were especially important in the Civil War action in Alabama. Major General Joseph Wheeler and John “The Gallant” Pelham were native Alabamians. Captain Raphael Semmes, Catesby ap Roger Jones, John Washington Inzer, William Lowndes Yancey and Brigadier General Josiah Gorgas made Alabama their adoptive home. And Major General Nathan Bedford Forrest, Major General James Wilson, Major General Edward Canby and Major General Ormsby Mitchel all made their mark on Alabama during the Civil War. The book contains 80+ illustrations. 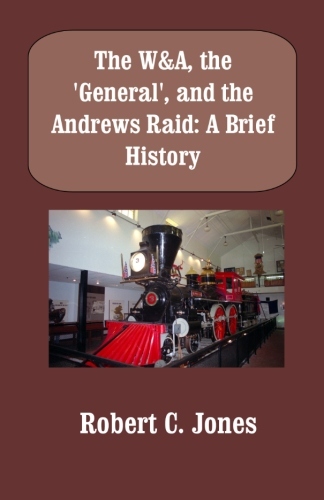 On the night of April 2/3, 1865, a train left Richmond carrying the gold and silver from the Confederate Treasury, perhaps worth $370,000, as well as $450,000 in gold and silver from a group of Richmond banks. The train roughly followed the escape route of Jefferson Davis and his cabinet - sometimes ahead of Davis, and sometimes behind. By the time the treasure cache reached Washington, Georgia, the Confederate Treasury was depleted. We'll examine in some detail what happened to the gold and silver along the way. The Richmond bank specie fared better up to that point, arriving more or less intact. But this would change radically on May 24, 1865 when Confederate parolees hijacked the Richmond bank gold as it was being shipped from Washington, GA back to Richmond. While some of that gold was recovered, there is still about $140,000 (1865 dollars) missing. 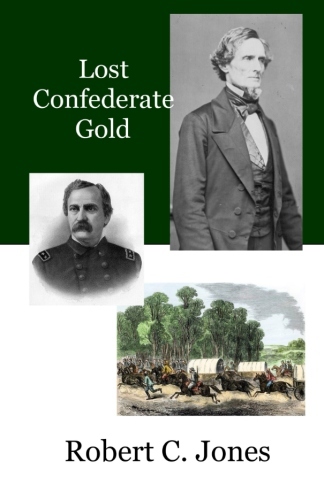 This book will tell the tale of the last days of the Confederate Treasury, and the lost gold and silver of the Richmond Banks. The book contains 44 illustrations. New Expanded Version!! In May 1864, William Tecumseh Sherman invaded Georgia, and began his Atlanta Campaign. His successful capture of Atlanta was the beginning of the end for the Confederacy. 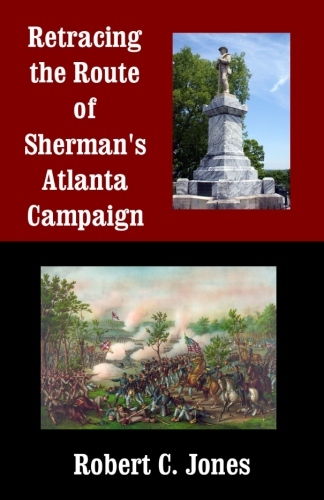 This book tells the story of Sherman's Atlanta Campaign through the mechanism of looking at what remains today (monuments, buildings, trenches, etc.) at 37 sites associated with those events. It also lists museums that contain artifacts or displays from the Atlanta Campaign. Where possible, addresses are included for GPS units. Over 100 photos, maps and newspaper pages are included in this book. We often think of the Civil War as being primarily a battle between armies. But in reality, the navies on both sides played a significant role during the War. One of the main strategies for the North, articulated in the Anaconda Plan by General Winfield Scott, was to blockade the Southern ports on the Atlantic and Gulf of Mexico, and to seize control of the Mississippi. The Union fought a number of battles to enforce this strategy, including Hatteras Inlet, Port Royal, New Orleans, Charleston Harbor, Vicksburg, Mobile Bay and Fort Fisher. The South, which could not keep up with the North in terms of industrial output of ships and guns, turned to the use of rams (ironclads) and commerce raiders. 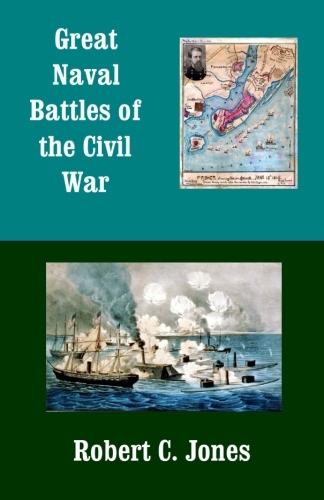 This strategy is represented in this book by the CSS Arkansas and her running through the Union fleet on the Mississippi in 1862, and with commerce raider CSS Alabama which had a breathtaking field of operation from 1862/64, until she met her end at the hands of the USS Kearsarge on June 19, 1864. The books includes 75+ illustrations. In the first two years of the War, the Union had the better generals in the west, and the Confederacy had better generals in the east. Once Grant became commander of the Union army, and Sherman was elevated to command of the west, the quality of generalship was essentially even between the two sides. At that point, the Northern advantages in manufacturing, manpower, transportation, and naval power became insurmountable for the South, even with people like Lee and Forrest as their generals. Among the best: Patrick Cleburne, J.E.B. 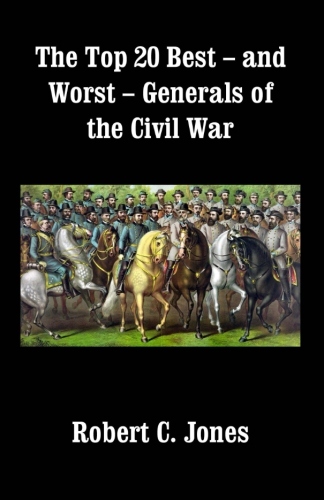 Stuart, Nathan Bedford Forrest, Thomas “Stonewall” JacksonJames Longstreet, Robert E. Lee, Admiral David Dixon Porter, David G. Farragut, Philip Sheridan, George Henry Thomas, Ulysses S. Grant, William Tecumseh Sherman Among the worst: General Pleasant Jackson Philips, Gideon Pillow, Braxton Bragg, Henry Sibley, John Bell Hood, Ben Butler, William Rosecrans, Irvin McDowell, Ambrose Burnside, George McClellan The book has 44 photos/drawings. 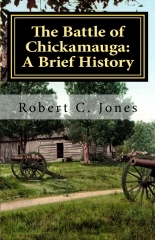 The Battle of Chickamauga was the greatest battle ever fought on Georgia soil. It was one of the greatest battles of the Civil War. It could have been a tremendous victory for the Confederacy, if not for the actions of a Union Corps Commander named George Thomas. It might have been a victory for the North, if the northern commander hadn't made a critical error in judgment on the second day of the battle, which led to a devastating attack on the Union center, and led to the Union commander running away from the field of battle. Chickamauga doesn't get the same amount of notice in modern times as the battles fought between Grant and Lee, but it was the most devastating two day battle ever fought on American soil. This book provides a brief overview of the battle, and makes copious use of both contemporary and modern photos and maps of the battlefield and participants, including 18 color illustrations and 9 black and white. Love him or hate him, the actions of William Tecumseh Sherman in Georgia in 1864 transformed the Civil War in the space of seven months. From a conflict which was still very much in doubt as to its victor in early 1864, by the time Sherman had captured Atlanta, marched to the Sea, and captured Savannah, the will to fight had largely left the South, and the outcome of the War had become a foregone conclusion. This book tells the story of what is sometimes described as the only infantry battle on Sherman's March – the Battle of Griswoldville. 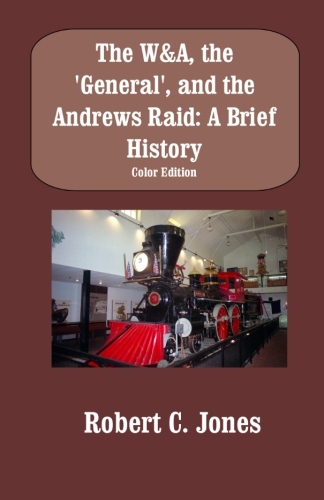 It is the tale of an inexperienced Georgia Militia general ordering an attack across an open, boggy field against an entrenched brigade of Sherman's troops. It is the tale of the bravery of the young boys and old men on that charge, some who had been pressed into emergency service just before the battle. It is the tale of the horror of the Union troops when they examined the dead and wounded, and discovered that many were 15 or younger, and what today we would describe as “senior citizens”. It is the tale of a small manufacturing city that was fought over for three days, changing hands several times. Women acted in many roles during the Civil War. In addition to homeowner and plantation/farm manager (while their husbands were at war), they also acted as nurses, vivandieres, spies, soldiers, matrons of hospitals, authors and (in one case) co-conspirators in the murder of a President. One Union women, Mary Walker, acted as a medical doctor, and won the Congressional Medal of Honor. 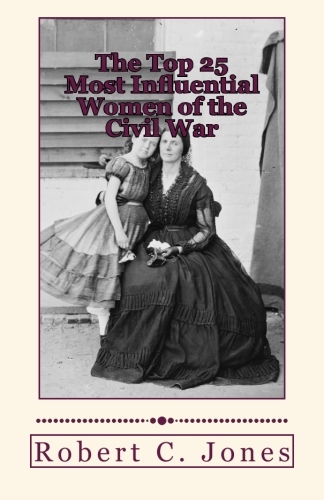 This book will examine 25 women that had an exceptional influence on the Civil War, including Elizabeth Van Lew, Dorothea Lynde Dix, Clara Barton, Harriet Tubman, Harriet Beecher Stowe, Kate Cummings, Lucy Holcombe Pickens, Mary Surratt, Mary Chesnut and Rose O'Neal Greenhow. The book contains 36 photographs. 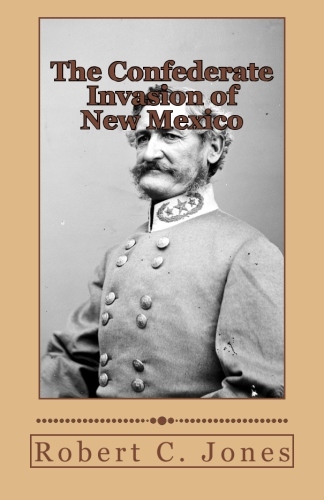 In 1862, the Confederacy made an incursion into New Mexico, into what had somewhat optimistically been dubbed the Confederate Arizona Territory in 1861. The Territory included parts of Arizona and New Mexico. The Confederate general in charge of the incursion was Brigadier General Henry Hopkins Sibley, who (effectively) had about 2,600 men. Arrayed against him were the forces of Union Colonel (later Major General) Edward Canby, with about 5,000 men. While the number of forces was fairly insignificant by Civil War standards (no Grant or Sherman size armies here), the stakes were remarkably high, especially to have such an obscure General like Sibley leading one side, and an equally obscure colonel leading the other. If the Confederates had been successful in their invasion of New Mexico, Colorado, Nevada and California might have been next, with all of the mineral wealth contained therein. If the Confederacy could have seized some of that mineral wealth, they could have financed the War indefinitely. The final deciding battle of the campaign, Glorieta Pass, is sometimes called the “Gettysburg of the West”, because it was the high water mark of the Confederate incursion into the southwest. But from a strategic standpoint, it might have been as important as Gettysburg. The Union didn't win the Civil War by winning the Battle of Glorieta, but it could have lost the War by losing this battle. The book includes 33 photos/maps. In late July of 1864, William Tecumseh Sherman sent two large cavalry forces under Edward McCook and George Stoneman south of Atlanta to destroy the Macon & Western Railroad. On his way, McCook destroyed railroad infrastructure in Palmetto, Fayetteville and Lovejoy’s Station. McCook was supposed to meet up with Stoneman at Lovejoy‘s, but Stoneman never showed. McCook was forced to retreat through Newnan, chased by cavalry under the command of Joseph Wheeler. 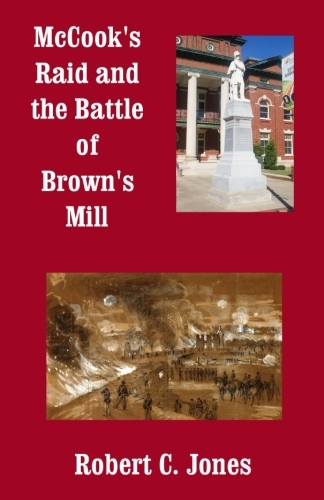 Wheeler soundly defeated McCook at the Battle of Brown’s Mill on July 30, 1864. The book contains 49 photos, maps and period newspaper articles. The Civil War started in Kansas in the latter half of the 1850s, when Free-State and Pro-slavery forces fought a bloody series of battles now called “Bleeding Kansas”. The most famous of all abolitionists, John Brown, fought in Kansas. During the Civil War, Quantrill's Raiders attacked Lawrence and Baxter Springs, Kansas. Battles were fought at Marais des Cygnes and Mine Creek when Confederate general Sterling Price invaded Kansas in late 1864. Senator James Lane and Charles Jennison conducted irregular warfare in Kansas and western Missouri for the Union during the Civil War. The War in Oklahoma (the Indian Territory at the time) nvolved Indian fighters on both sides. The most famous Indian who fought in the Civil War was Stand Watie, who rose to the rank of brigadier general in the Confederate Army. Other names who fought multiple battles in Oklahoma include Union Major General James Blunt, Union supporter Chief Opothleyahola and Confederate Colonel (and later Brigadier General) Douglas Cooper.